Access Aurora is the online system for contacting the city of Aurora about any non-emergency concerns, questions, comments or requests for service. Please complete all required fields and provide as much detail as possible. The more information you provide, the better able we are to assist you. If the issue is not visible from the street, is inside a home or other structure, or related to graffiti, your name and phone number also are required. This service is available for your phone. 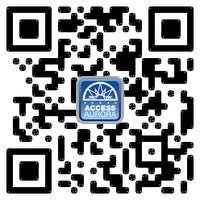 Visit your app store and search for Access Aurora or scan the code with your phone. You can easily report code violations or other issues, and get information about the city in a few simple steps by using Access Aurora for your phone. Street Light Outages: Contact Xcel Energy at 800.895.4999 or report online. For additional assistance, please call Access Aurora at 303.739.7000. Access Aurora is open 8 a.m. to 5 p.m. Monday through Friday.